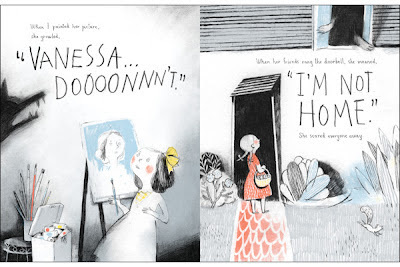 A clever play on words, this book is loosely based on the relationship between author Virginia Woolf and her sister, painter Vanessa Bell. But it is also about the foul moods that even the best-natured child can so easily slip into, where every little thing is an irritant and the whole world seems to be stacked against them. 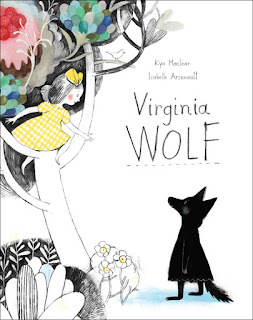 One day Virginia wakes up feeling quite wolfish. She growls at her sisters and scares her friends away with her dark mood. 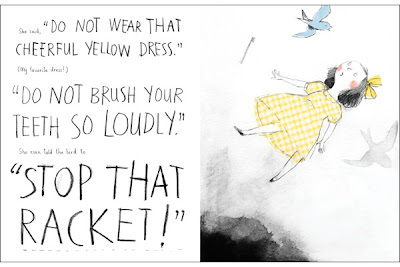 She is annoyed by Vanessa's cheery yellow dress, the scritch of the toothbrush bristles against teeth, and even the chirping of the birds outdoors. In short, she is irritated by everyone and everything. 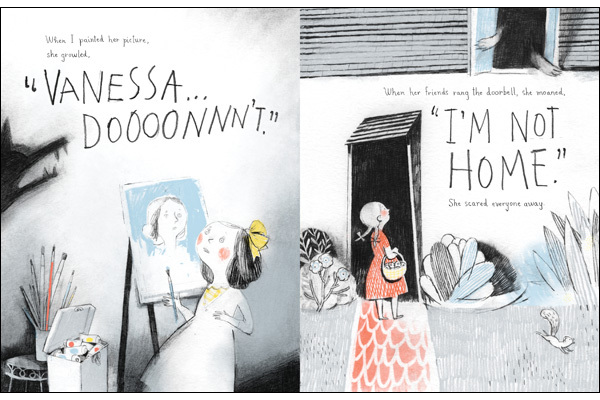 Vanessa desperately tries to cheer her, bringing her treats, the cat, her violin. Nothing. She finally climbs in bed beside her sister, two quiet, still lumps under the blanket. Virginia admits the only thing that might make her happy would be traveling to a perfect place full of beautiful flowers, excellent trees, and frosted cakes. They do not live in such an ethereal place, but Vanessa knows how to get there. She fetches her art box, and while her sister naps, Vanessa painstakingly creates an entire land filled with candy blossoms and frosted cakes. Virginia awakens in the land her sister has created, and feels her mood start to lift. This book has gotten every little detail just right. 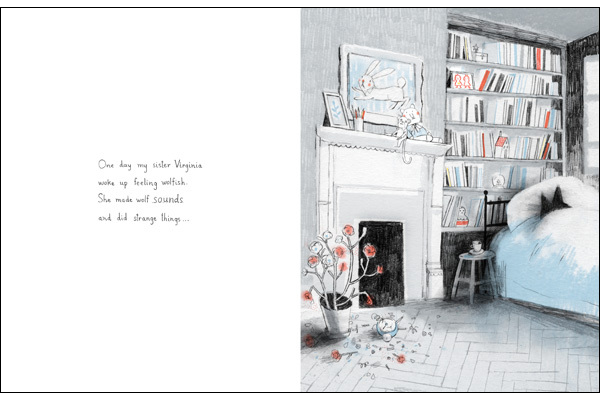 Isabelle Arsenault's illustrations are so beautiful, from the framed bunny print in the girls' bedroom down to the alarm clock shattered underneath. The pages are a lovely, slightly thick card stock. The chosen font resembles pretty handwriting, with Vanessa's angry words in a much larger, uglier font - exactly how shouting should look. And a lovely message to boot - one that just might lift your own child's spirits when those wolfish feelings invade. Review copy provided by Kids Can Press. I'm moving my blog to my site!